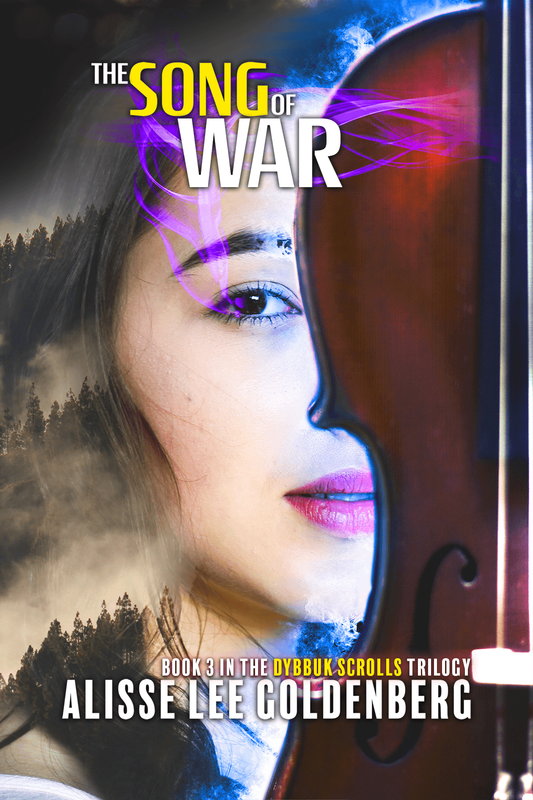 The Song of War follows the continuing adventures of Carrie and her friends. In the time since the events of The Song of Hadariah and The Song of Vengeance, Asmodeus has been growing his army and is determined to get his vengeance for all that his daughter Emilia and her friend Carrie have done to stop him. Hampered by the fact that he is now confined in a mortal body, Asmodeus fights to keep his power, and hide his limitations. Meanwhile, Carrie, Lindsay, Rebecca and Emilia are all determined to live their lives in peace, ignoring the threat looming over all of them and those they love. Carrie became aware of a strange drumming in the background. Her eyes narrowed as she tried to place its source. Emilia hadn't mentioned musicians coming to the feast. She had thought the dancing was starting later. She felt a humming rise in her head, and she reached up to grab onto her necklace. “What’s wrong?” Mikhail asked her. He looked over at her, concern plain in his face. “Do you hear that?” Carrie asked. “What?” he asked, eyes narrowed. “The drumming. It’s getting louder,” Carrie looked around, the humming becoming painful, causing her to wince. She let go of her necklace and massaged her temples in an effort to make it stop. Mikhail cocked his head to the side and listened. “Yes,” he said at last. “I do hear it.” He rose and went over to the king murmuring something to him. The king put down his spoon and spoke to his wife who quickly rose from the table and left the hall. “What’s going on?” Carrie asked him. She felt panic start to rise. Her heart beat faster as she realized that trouble was definitely brewing. “These aren’t his drums,” Carrie said. Lindsay turned to them. “Do you guys hear the drums too?” she asked. Carrie looked out over the people feasting. Soon, they began to hear it too. Yet most kept on eating. She saw as they each stopped and listened. More and more began to notice that there was something wrong. The beats kept coming. Louder. Louder. Louder. Boom. Boom. Boom. Soon it was all anyone could hear. The low bass beats booming away as the drummers came closer and closer to the castle. Fear was etched across each person’s face as they sat and listened and waited. No one wanted to ask or move. Carrie was terrified. The king sent his captain of the guards to go look over the battlements and report back. The man ran off to do his duty while the king sat trying to show his subjects he was unafraid. Suddenly, the drums stopped and the dining hall was plunged into an eerie silence. Carrie sat clutching Mikhail’s hand in hers. All she could think of was her dream from the night before. The warning that today, people would die. The captain ran into the dining hall, his face was pale and his hands shook. He tried to whisper to the king, but Carrie heard every word he said. Each one was a knife in her heart. Asmodeus was here, and he had an army with him. You can purchase The Song of War ​here.